It's been a long time since my last food post and I am certainly back now with another my-first-try-experience. I have heard many good things about this resto from scrumptious food to its ambiance and customer service. Everybody say, they have the best tasting Inasal and Halo-Halo, and some friends really recommended me to try as well their Chicken Sisig that actually activated my cravings. Sisig seems to be a good kryptonite alternative. Haha! So here it is after the jump. 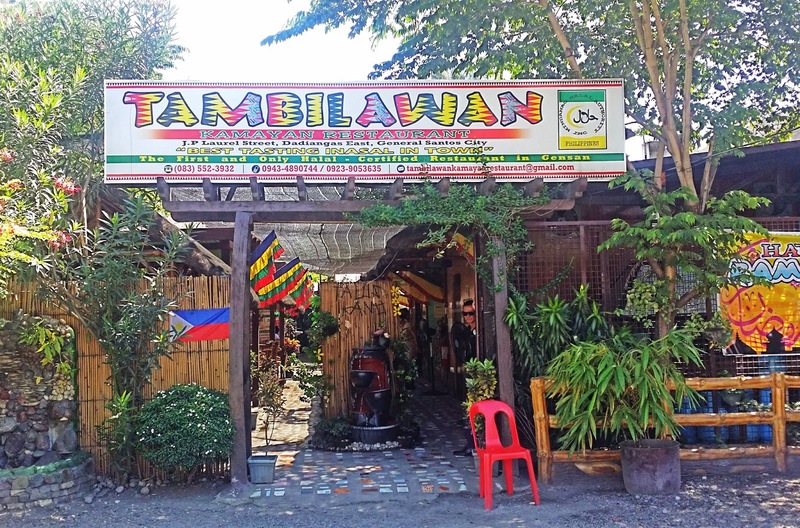 Tambilawan Kamayan Restaurant is the first and only Halal Certified Restaurant in GenSan with best in their famous Inasal and Halo-Halo. Tambilawan is definitely GenSan's talk of the town when it comes to halal foods. 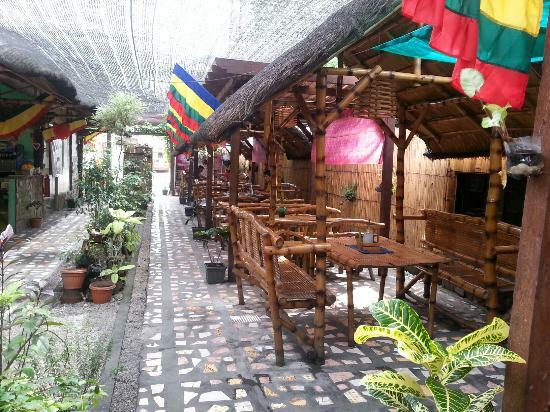 Many tourists and locals have been hooked to Tambilawan's interior which is very cozy, relaxing and simply amazing; its more on a Pinoy vibe spot because of the Nipa Hut cottages and wooden tables and chairs. I ordered the Original Chicken Sisig since that's my sole reason of going there, but I have tried as well their Kinilaw, Bam-I and Buttered Chicken (not buttery and seems not fresh but heated). 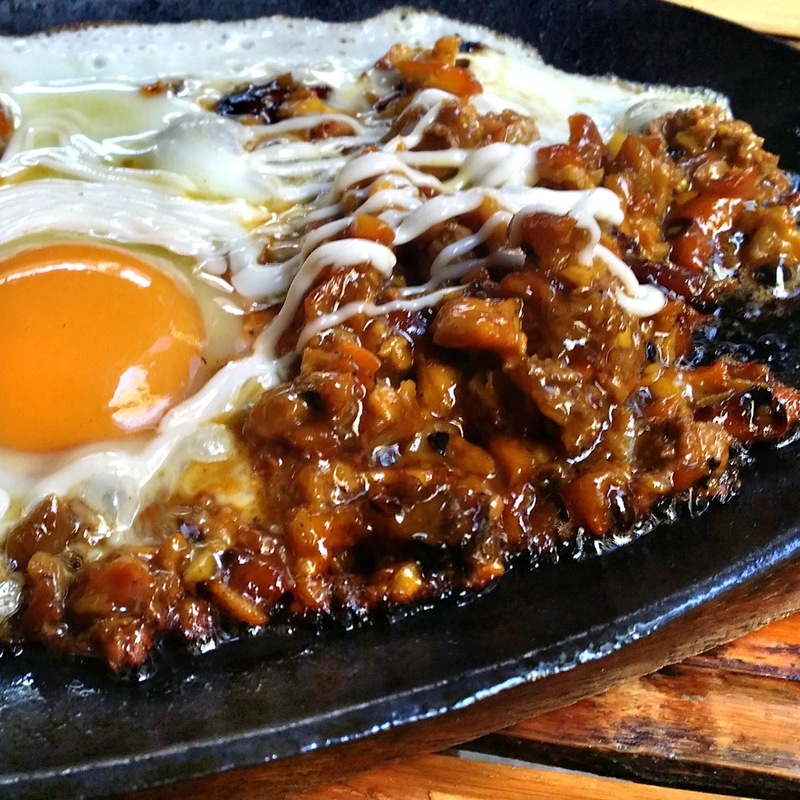 The Original Chicken Sisig is price at 134php (am not sure yet but will keep you posted once verified) per hotplate serving just like any other Sisig. Maybe I am just expecting too much on this food that's why I ended up being disappointed. It's not really that great but surely not that bad at all. The Chicken Sisig was clearly Inasal leftovers, sweetened and nothing more. Unless, you add some chili pepper to spice it up. I have tasted no magic but just a plain home cooked Sisig. The Original Chicken Sisig looks darn slobbering on the picture but I am just giving it 5.6 rating over 10. Besides, this is just my first visit, am gonna go back soon to give it a try, again. If you're up for a great family dine out bonding in a Halal Restaurant, Tambilawan Kamayan Restaurant is just at J.P. Laurel Street, Dadiangas East, GenSan. Open from 8:30am to 10:30pm and contact 09239053635 to make your reservations and or you have any inquiries. By the way, don't forget to follow me on Instagram to check more of my #FoodPorn story.